Led by EECS’ Professor of Risk and Information Management, Norman Fenton, the project will focus on home-based and wearable real-time monitoring systems for chronic conditions including rheumatoid arthritis, diabetes in pregnancy and atrial fibrillation. The funding is part of a £10 million investment by the EPSRC in projects that will help people self-manage chronic conditions with support from carers and clinicians. Professor Fenton said: “Patients with chronic diseases must take day-to-day decisions about their care and rely on advice from medical staff to do this. However, regular appointments with doctors or nurses can be expensive, inconvenient or not necessarily scheduled when needed. “Increasingly, we are seeing the use of low cost and highly portable sensors that can measure a wide range of physiological values. 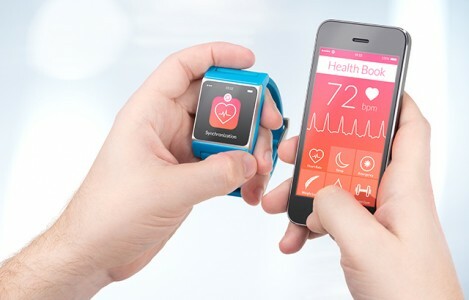 Such ‘wearable’ sensors could improve the way chronic conditions are managed. The project includes academics from the fields of antennas, intelligent systems and Bayesian Networks, a branch of mathematics that is used in decision-making, and healthcare experts from QMUL’s School of Medicine and Dentistry. The EECS project called PAMBAYESIAN (PAtient Managed decision-support using Bayesian networks) is a three year project that starts in June 2017. It will help to lighten the load on healthcare providers like the NHS while giving patients more control over managing their condition. PAMBAYESIAN complements another grant from the Leverhulme Trust of £385,510 awarded to Professor Fenton that will ultimately lead to improved design and use of self-monitoring systems such as blood sugar monitors, home energy smart meters, and self-improvement mobile phone apps. The project CAUSAL-DYNAMICS (Improved Understanding of Causal Models in Dynamic Decision-making) is a collaborative project, and combines cognitive decision expertise from experimental psychologists including Dr Magda Osman from QMUL’s School of Biological and Chemical Sciences. Find out more about PAMBAYESIAN research project. Find out more about CAUSAL-DYNAMICS research project.